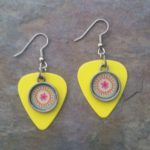 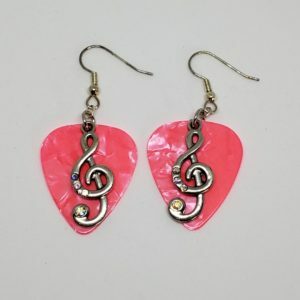 Perfect earrings for a music lover, musician or teacher. 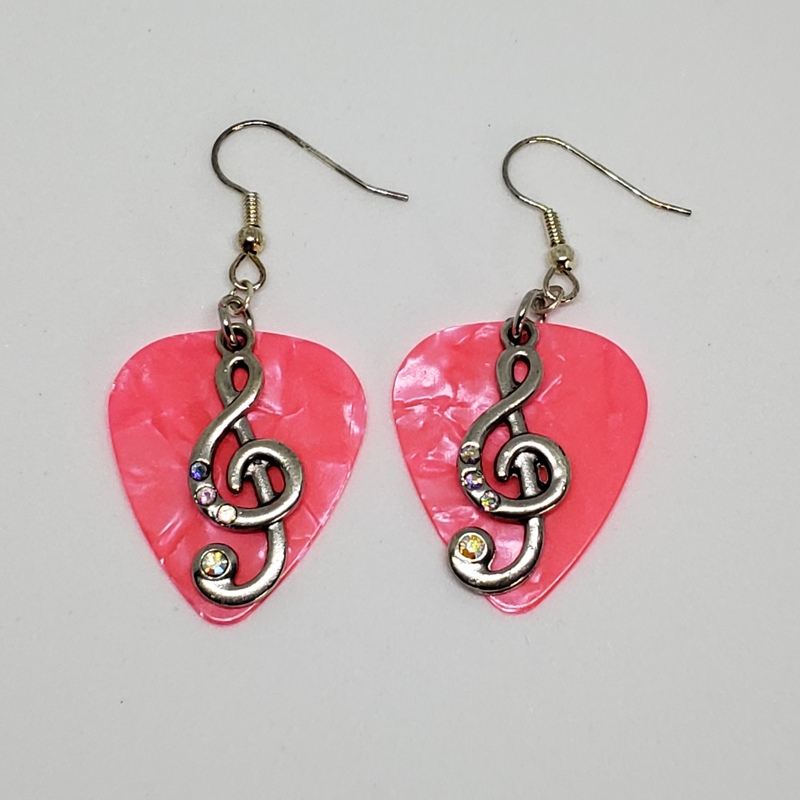 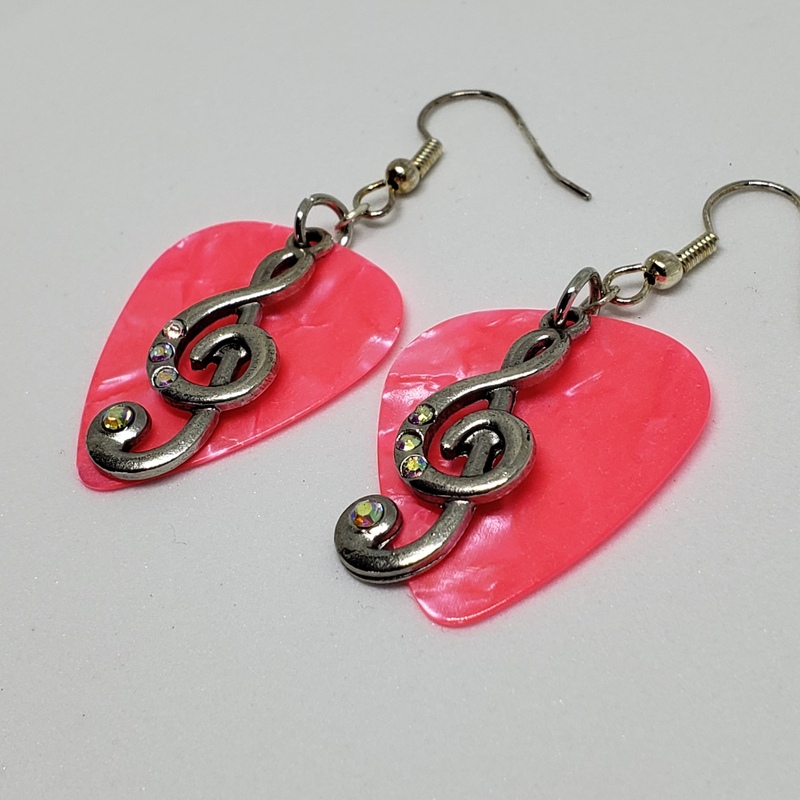 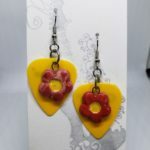 These guitar pick earrings have silver treble clefs that have crystals in them backed by pink celluloid guitar picks. 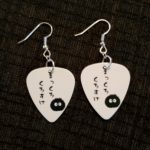 They are 1″ wide and hang 1.25″ from the surgical steel ear wires. They will come in an organza bag.